Ethion is a website builder platform enabling private and corporate to users design, publish and manage a versatile array of online presences. Requiring no prior technical design or web coding skills, Ethion presents a template-based approach via a collection of pre-styled themes for inline editing and customization. Drag and drop tools and a familiar WYSIWYG paradigm uses a palette of element components for populating an unlimited number of pages. Text can be written directly into content blocks and styled with a collection of free web fonts, while images an be uploaded into Ethion's underlying content management system or dropped in from a stock image and icon library. Spanning monthly, yearly and reseller pricing plans, the cloud-hosted service promises limitless storage and bandwidth while allowing custom domains to be used with free SSL / HTTPS encryption applied for enhanced security. Ethion supports the creation of career pages for listing job opportunities, setting up an online store with a range of eCommerce capabilities, scheduling online bookings, event ticketing and taking restaurant reservations. A range of third-party plugins and over 200 in-built apps add SEO tools, analytics, live chat, advertising and newsletter marketing, while social media feeds and Google Maps can also be embedded. Other highlights include multi-lingual support, blogging options, a custom form builder, video content tool, mobile app download linking, plus the ability to add password protection for privatizing site access. There are currently no reviews of Ethion. Ethion is a cloud-based webpage builder, content management system (CMS) and site publishing platform for private and corporate users, promising an intuitive graphical, drag and drop-based wizard. Requiring no prior design or coding knowledge, users can leverage a choice of professionally-styled site page templates that can be customized in terms of visual theme, text, fonts, images and a diverse array of content components. Resources include a free stock image and icons library plus use of free licensed web fonts, while more advanced content features include social media integration along with video and Google Maps embedding tools etc. All sites are secured with free SSL and HTTPS encryption protection whether on an Ethion subdomain or custom URL, while limitless host storage allows for websites consisting of an unlimited number of pages. Choose from 200+ built-in apps for expanding a basic website into a more sophisticated presence, adding banner ad displays, eCommerce services, online booking facilities, plus site statistics tools for measuring traffic and more. Below are some frequently asked questions for Ethion. Q. What type of pricing plans does Ethion offer? Q. 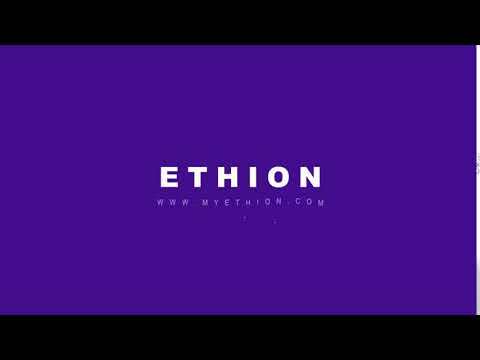 Who are the typical users of Ethion? Q. What languages does Ethion support? Q. Does Ethion support mobile devices? Q. Does Ethion offer an API? No, Ethion does not have an API available. Q. What other apps does Ethion integrate with? Q. What level of support does Ethion offer?